These accessories are designed to store up to two sets of 'standard' overhead style headphones and additional in-ear style headphones. Depending on the model, they can be mounted on a table, wall or a pole such as a microphone stand. 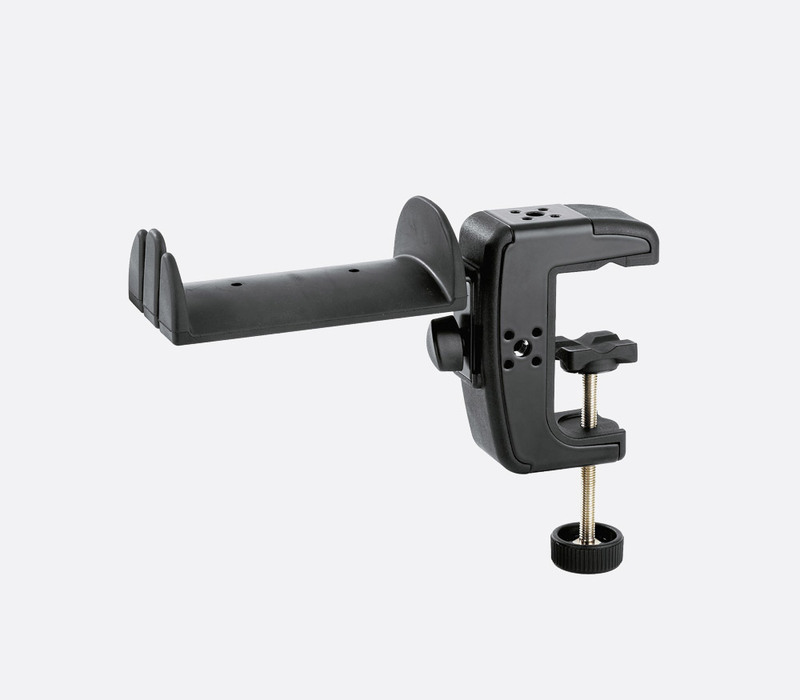 This wall-mounting headphone and accessory holder has a rubber-covered arm length of 102mm that is suitable for storing headphones and/or cables. 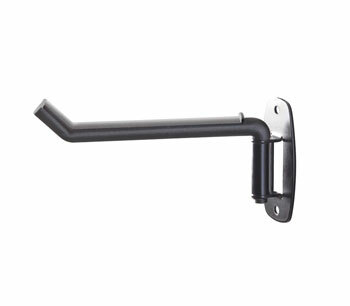 The arm swivels 180 degrees side to side to allow the holder to be stored flat against the wall surface when not in use. Dimensions: 160 x 24 x 90 (WxDxH)mm, folded. Weight: 0.134kg. This has a steel plate with four fixing holes for mounting on a wall. 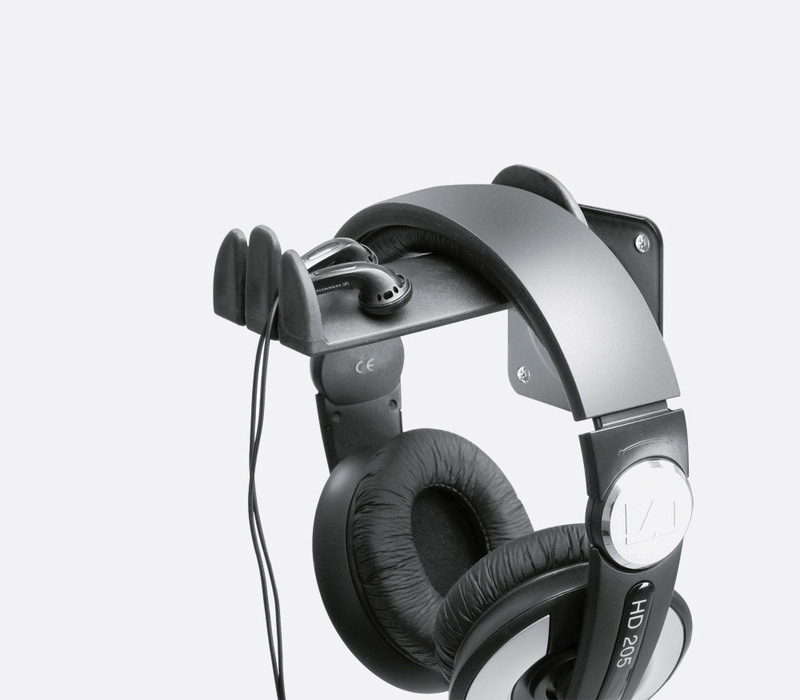 The 100 x 60mm soft rubber-covered support arm can accommodate up to two pairs of overhead style headphones. Two slots located on the front of the holder give an option to add up to two pairs of in-ear style headphones. Weight: 0.23kg. 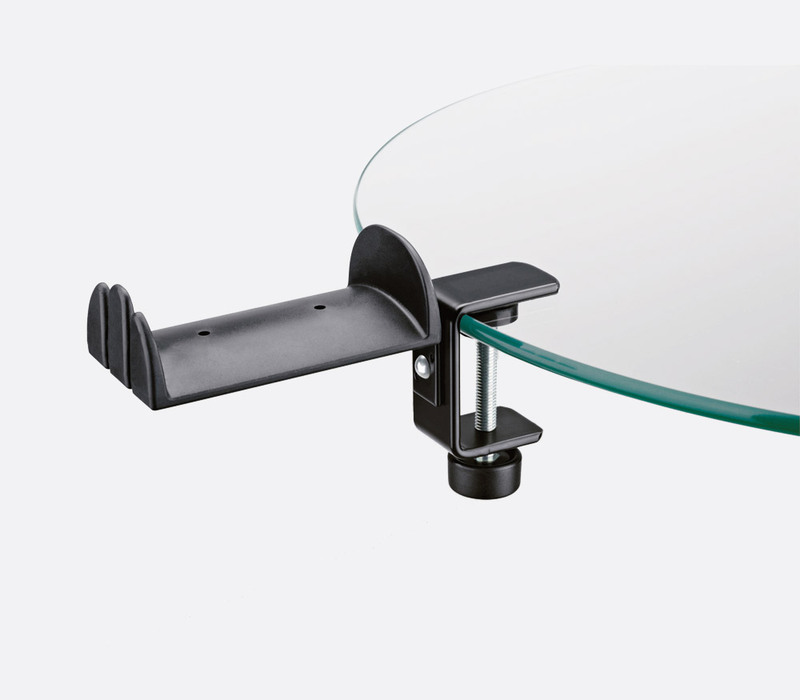 This has the same support arm as the 16310, however in place of the wall mounting plate it has a clamp to fix it to a flat surface up to 45mm thick such as the edge of a table. Weight: 0.256kg. This again has the same support arm as the 16310, however, like the 16090 it has a pole clamp instead of a wall plate. The clamp can be fixed to a vertical pole such as a microphone stand, with a tube diameter of up to 30mm. Weight: 0.185kg. This has again the same support arm as the 16310 headphone holder with the capacity to hold up to two pairs of overhead style headphones and two pairs of in-ear style headphones. 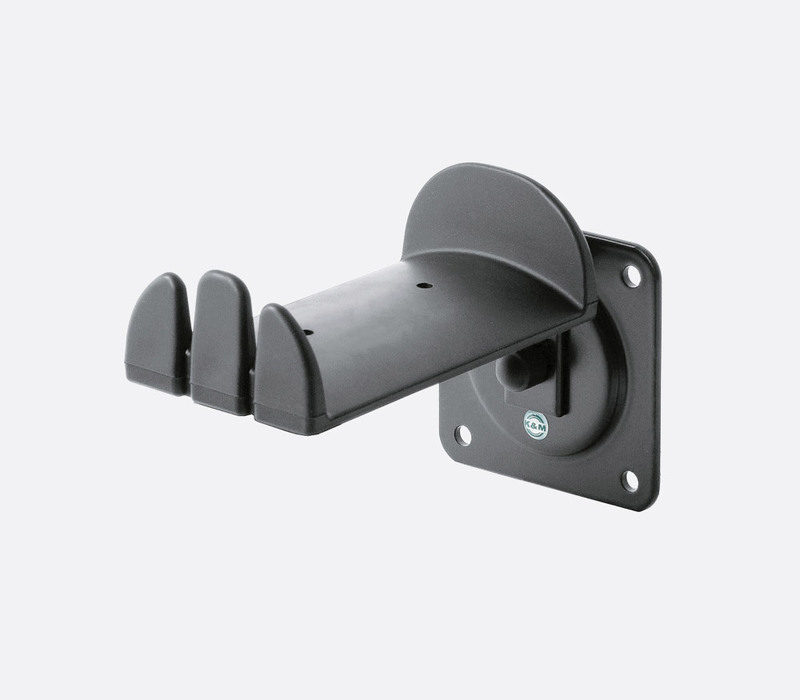 Instead of a wall plate, it has a substantial fixing clamp which can be rotated through 90 degrees so that it can be clamped to both flat table type surfaces and round-shaped tubes such as those found on microphone stands. The clamp can grip materials up to 48mm. Weight: 0.26kg. 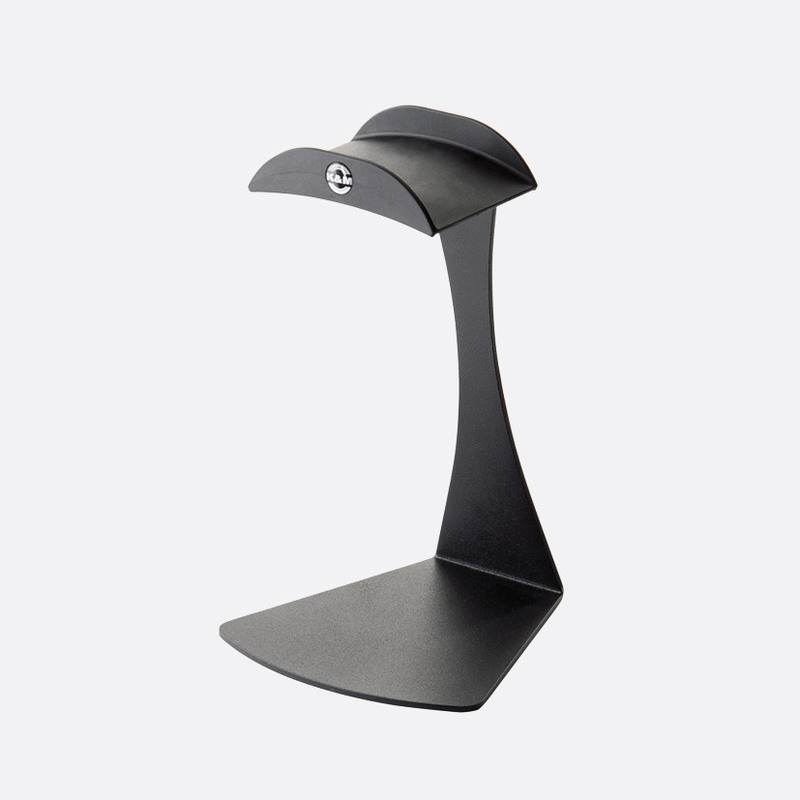 Desktop headphone stand has a fixed, curved support that is positioned 230mm above the base of the stand. 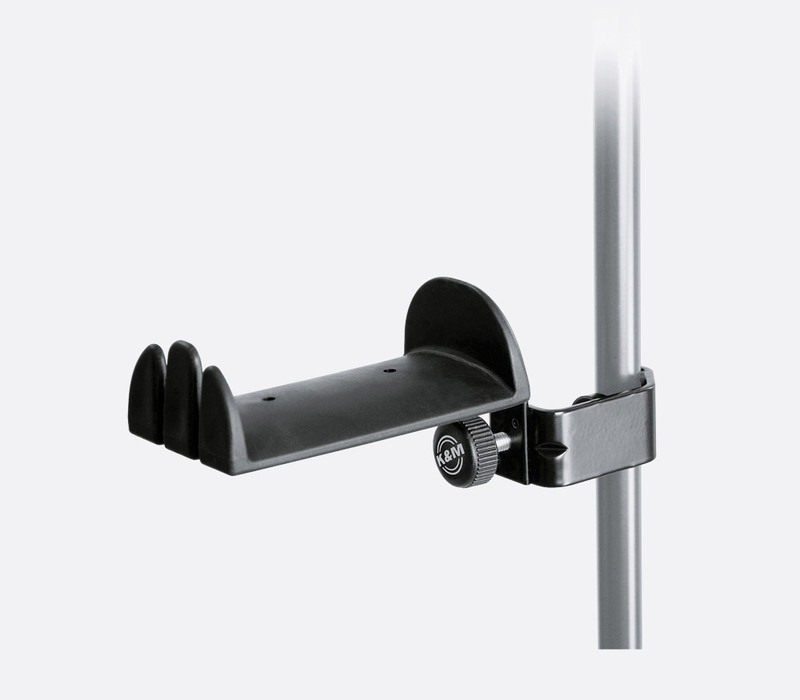 The stand is manufactured in steel; the rubber covered support arm is plastic. Total weight 0.256kg.